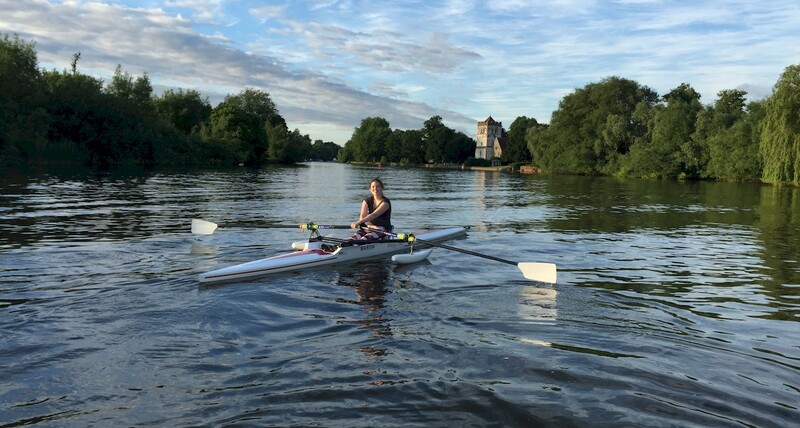 Last week, Marlow Rowing Club also hosted an international pararowing camp which included the entire population of Swedish pararowers – namely, Ebba Einarsson. Ebba was a successful junior rower in Sweden until a couple of years ago when she was struck with a rare spinal condition that left her without the use of her legs. Deciding that the leg impairment was not going to impair her love of the sport, she took of pararowing. All the more of a challenge when the country doesn’t have a pararowing programme or even any other athletes. Ebba’s story is well told in this article – https://heartheboatsing.com/2018/09/07/swedens-ebba-einarsson-i-want-to-row-again/. Ebba met Marlow coach Bruce Lynn and pararower Kingsley at the World Rowing Championships in Plovdiv earlier this year. Both were supported by the FISA Developing Programme Coach Jill Wurflinger as Sweden and Nigeria are both emerging pararowing programmes. Jill had FISA meetings in London and arranged for Ebba and her coach/manager, Mikael Heinli (see photo below), to come to pop over to London to do some work together hosted by Marlow RC. 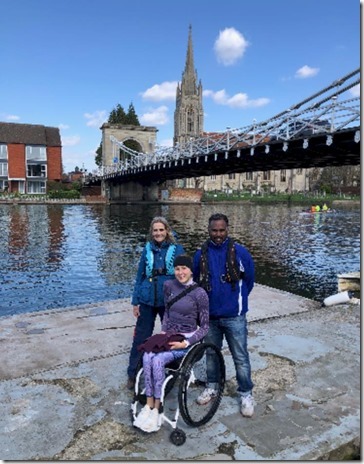 Marlow’s own coaching staff, Adaptive/Pararowing Coach Bruce and Senior Women’s Coach Lisa Knill (see photo below) also ran sessions with Ebba. 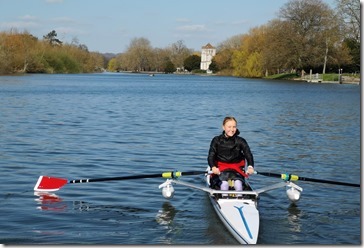 Ebba’s visit was also punctuated by a trip into the London Regatta Centre (which has its own adaptive rowing facilities) to join the FISA group for dinner, boating through a river lock, and enjoying English wildlife from pheasants to monkjacks.